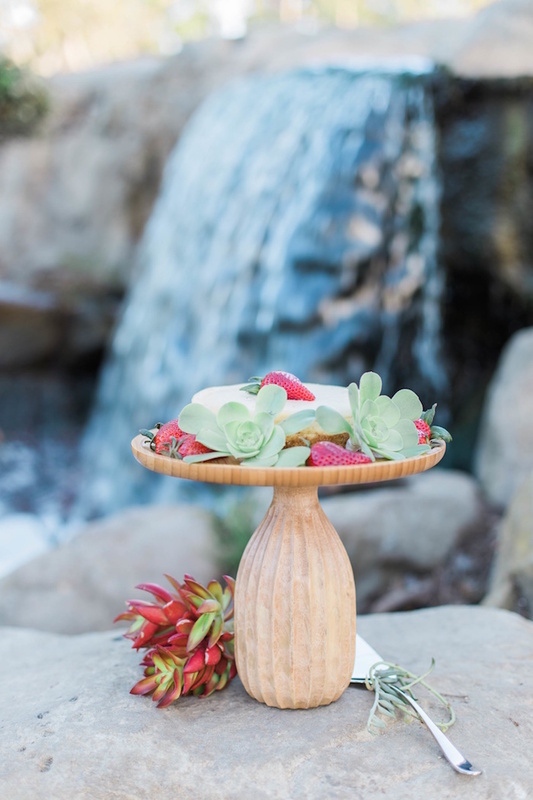 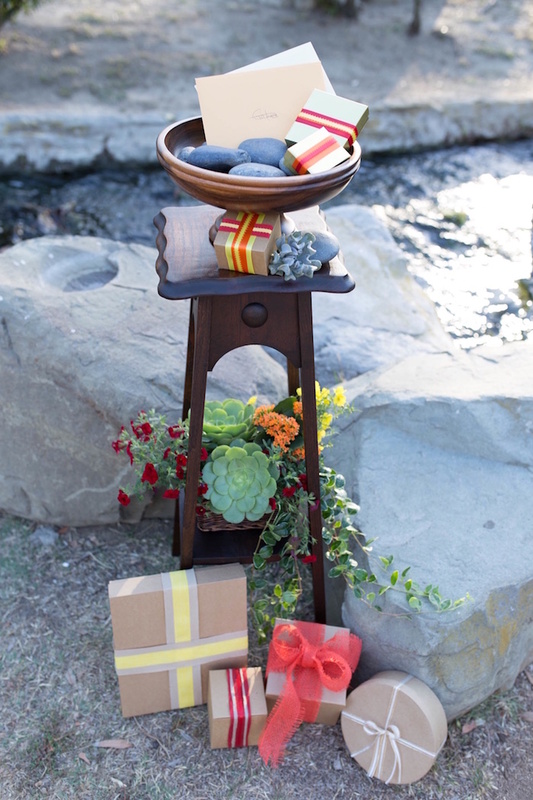 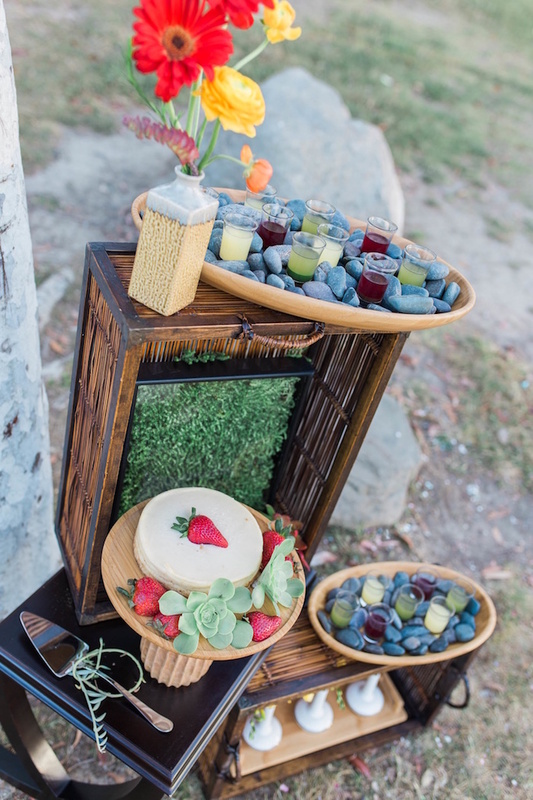 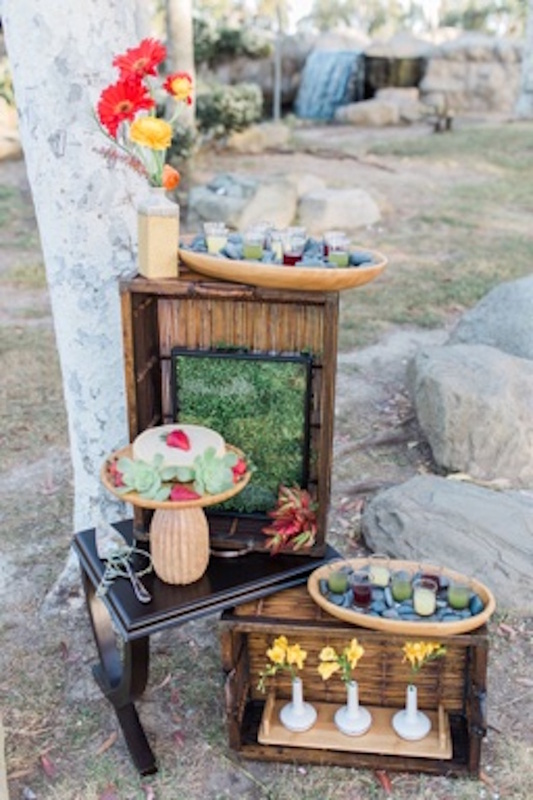 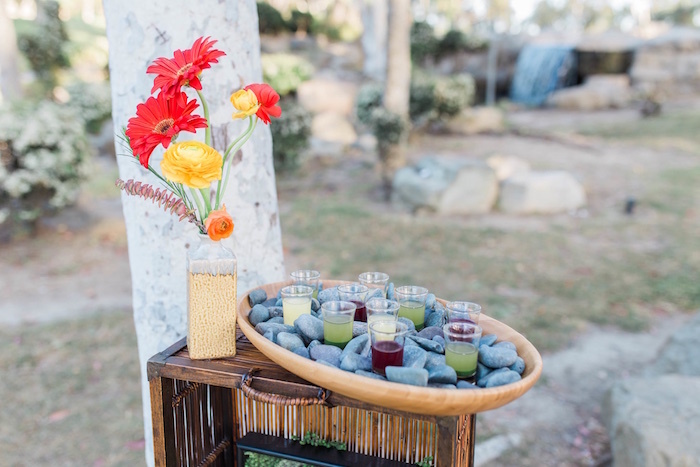 Simply stunning and out of sight, this “Au Naturel” Outdoor Bridal Shower, is quite the delight! 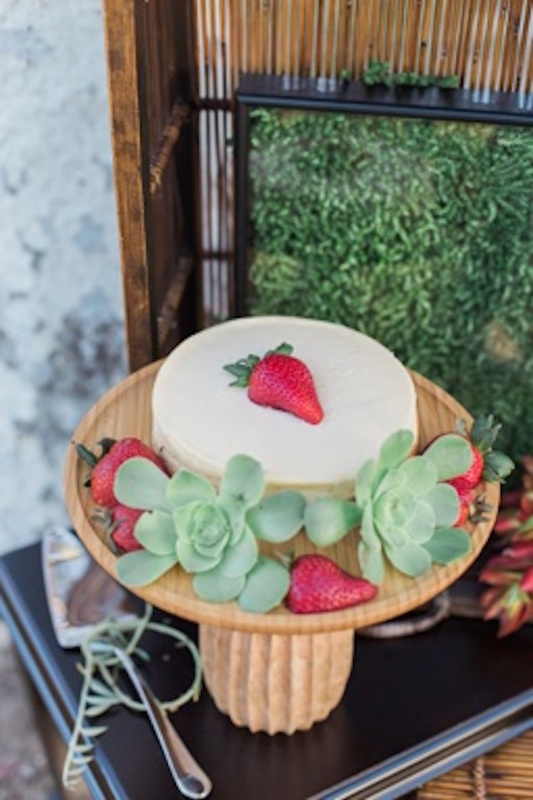 Styled by Amy Huth of Design in Mind Events, out of Los Angles, CA; this lovely occasion is full of details, both simplistic and creative! 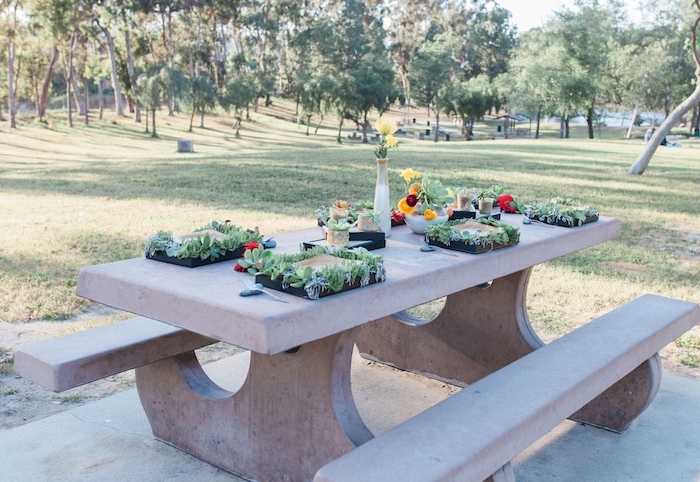 This is what was shared about the party- “Looking for a perfect location to celebrate a special occasion, consider your local park! 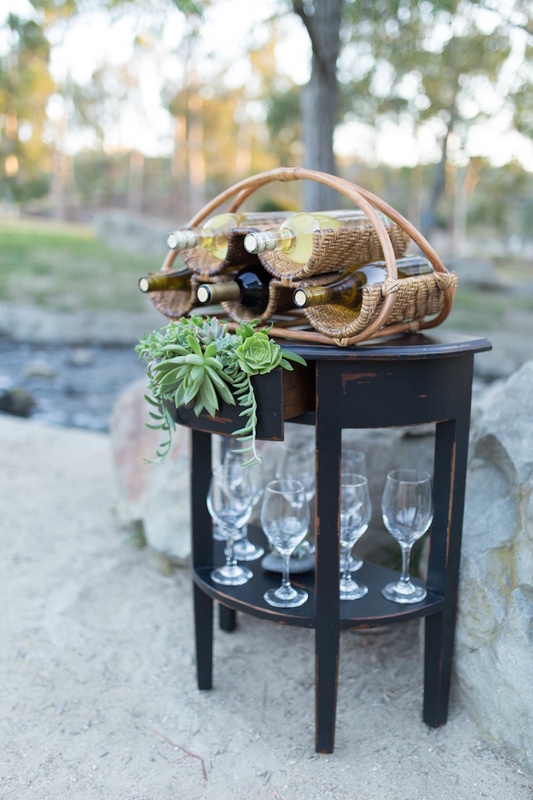 A beautiful landscape awaits, all you need to bring are a few elements of decor, food and beverage for a perfect party in the park! 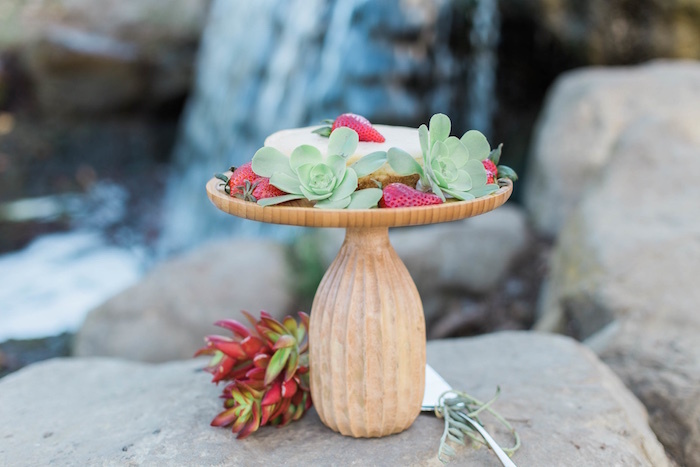 Amy Huth of Design In Mind Events created a casual yet modern bridal shower setting that anyone can plan for a soon-to-be-bride. 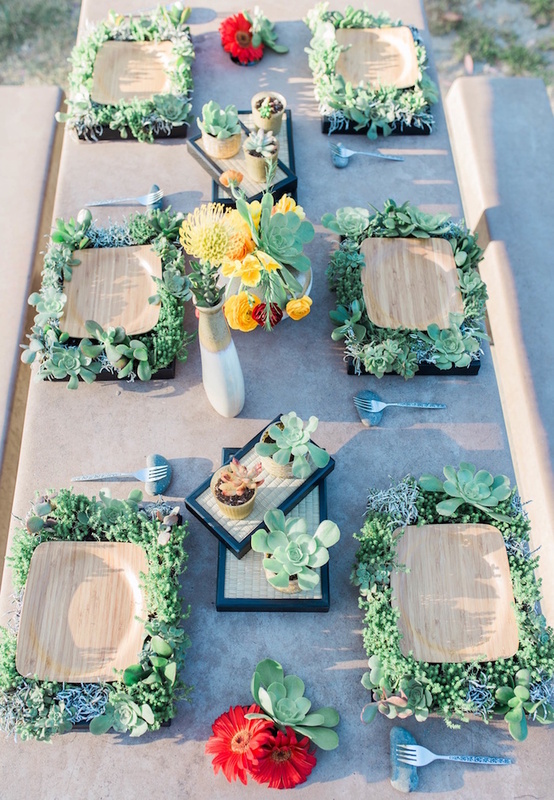 Greenery is this years pantone color, but what if your backdrop is already filled with greenery? 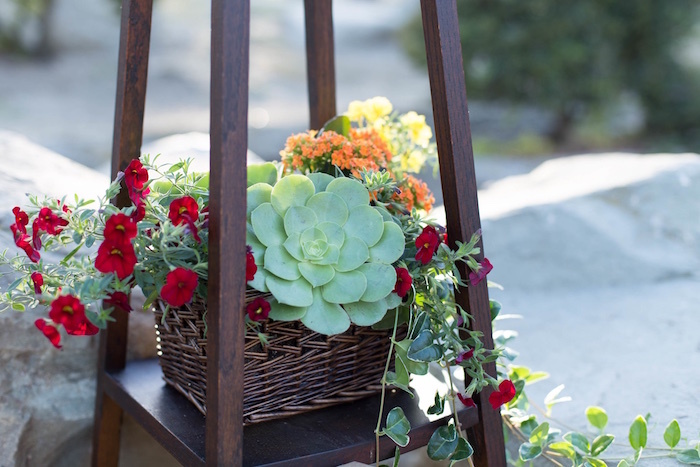 I say, enhance the look with additional layers, such as bold succulents and blooming plants. 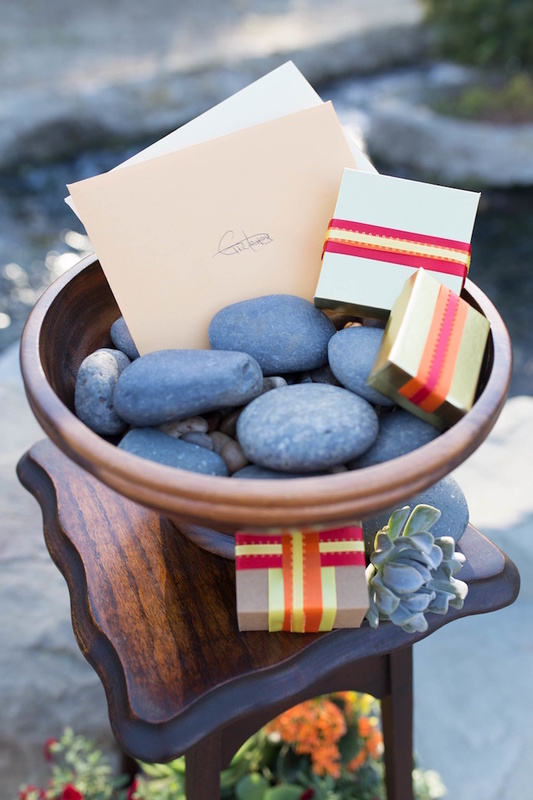 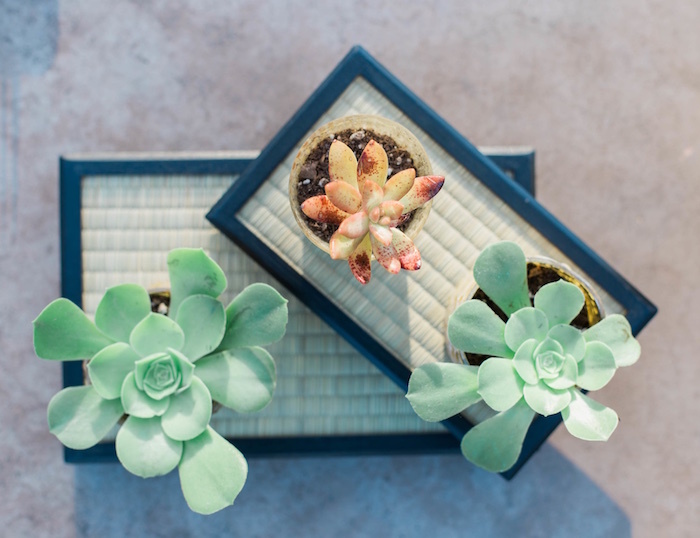 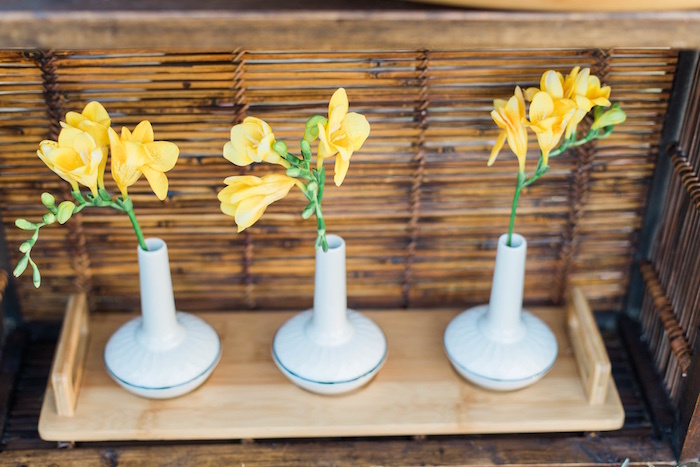 Continue to embrace the au naturel setting by adding the following decorative items: clay floral vessels, rocks, wicker baskets, bamboo and other natural woods. 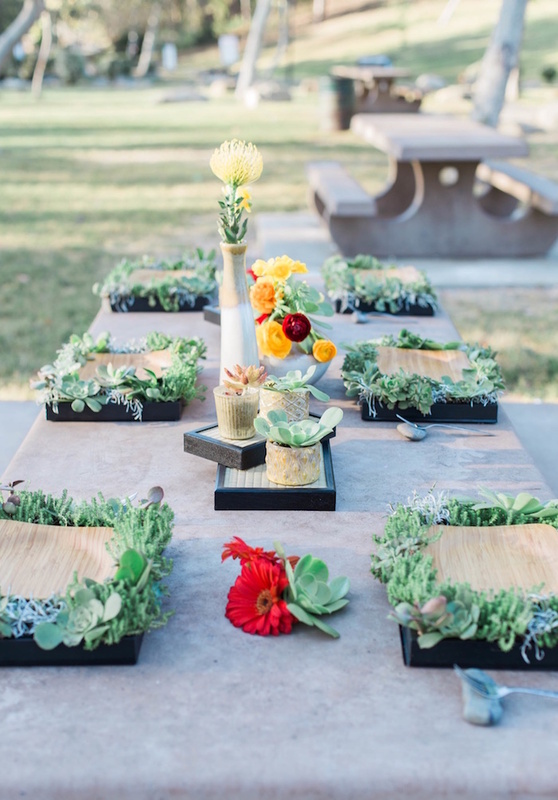 When decorating a table or, in this case a park picnic table, I made living placemats that guests can enjoy while dining! 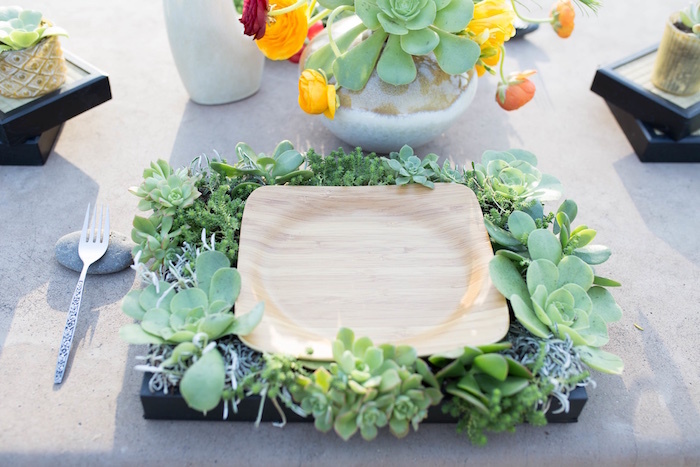 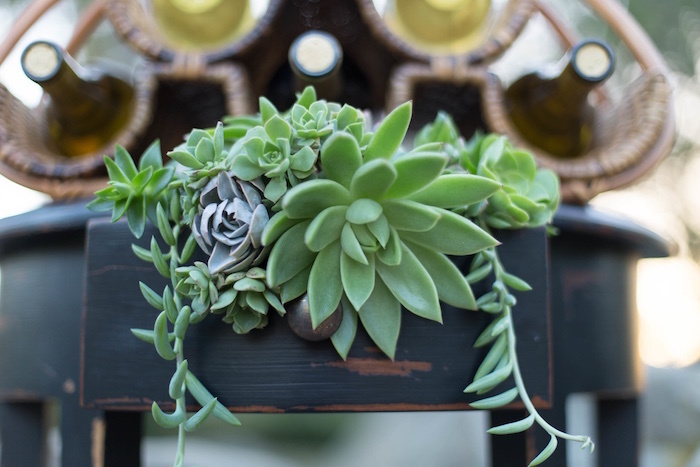 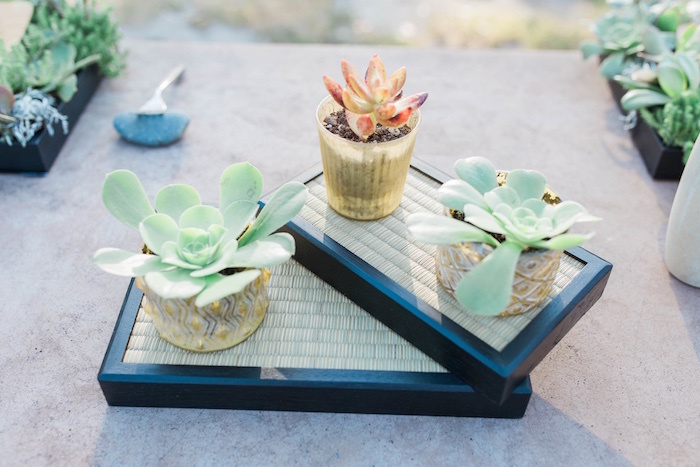 After the party, remove the plate and allow guests to take home the living succulent picture for their yard. 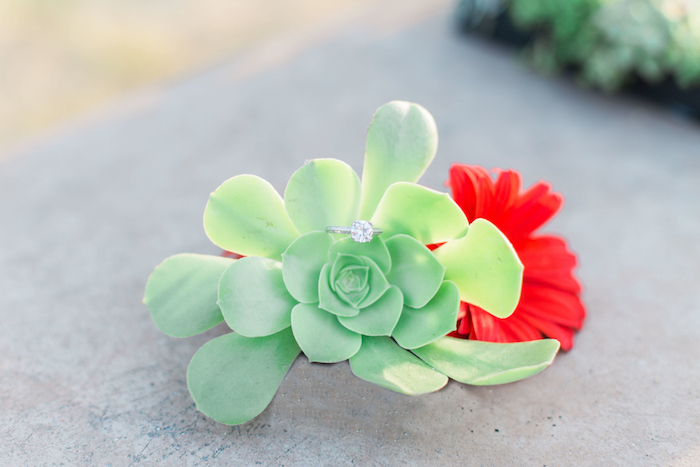 Dont have a theme, no worries! 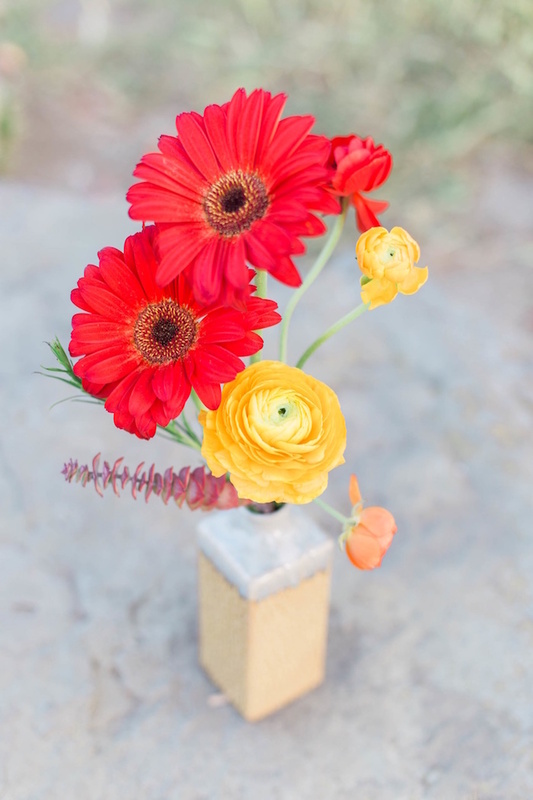 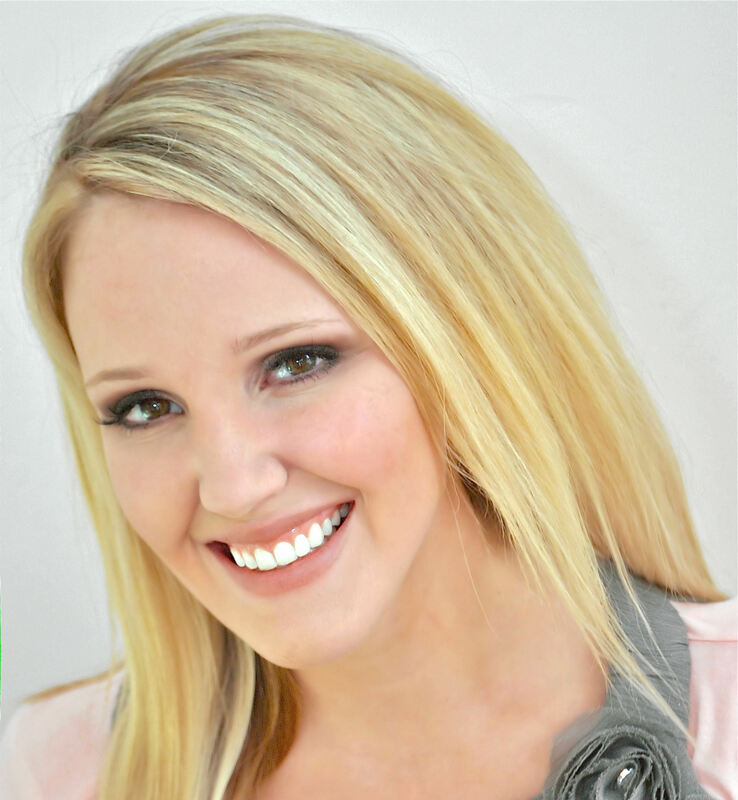 Use a color scheme to tie it all together. 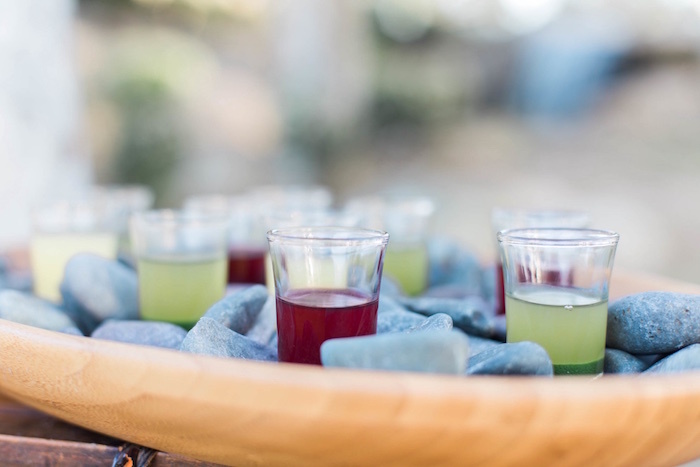 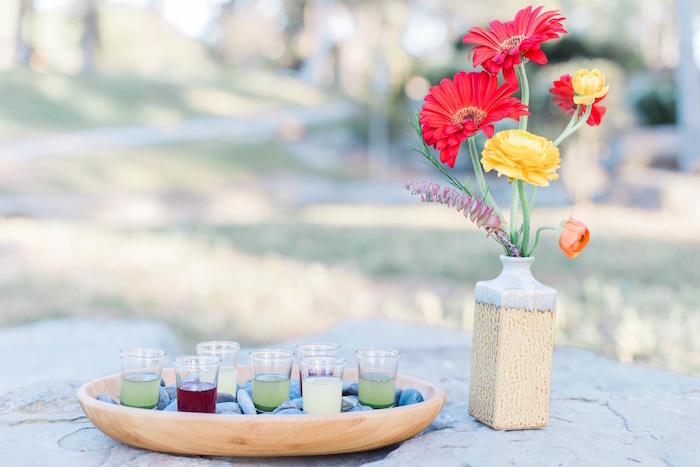 Serve colorful drinks, garnish food or dessert platters with bright fresh fruits and if your guests are bringing gifts, request that they be adorned in the color scheme. 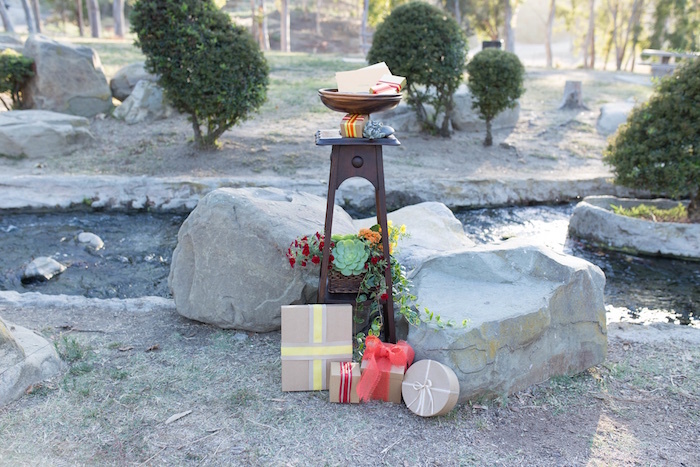 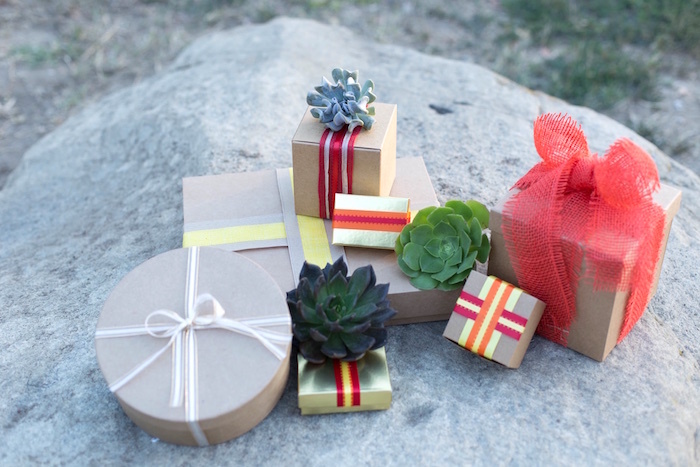 Bring the inside to the outside by using personal items from your home. 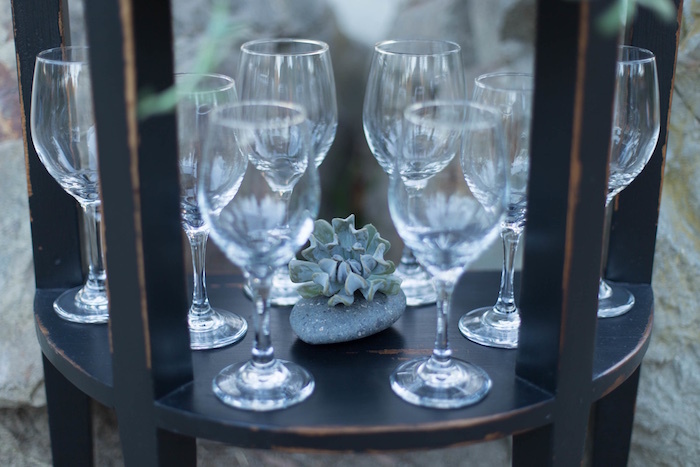 Avoid purchasing plastic dinnerware and use your flatware, cake stands and serving pieces from the kitchen. 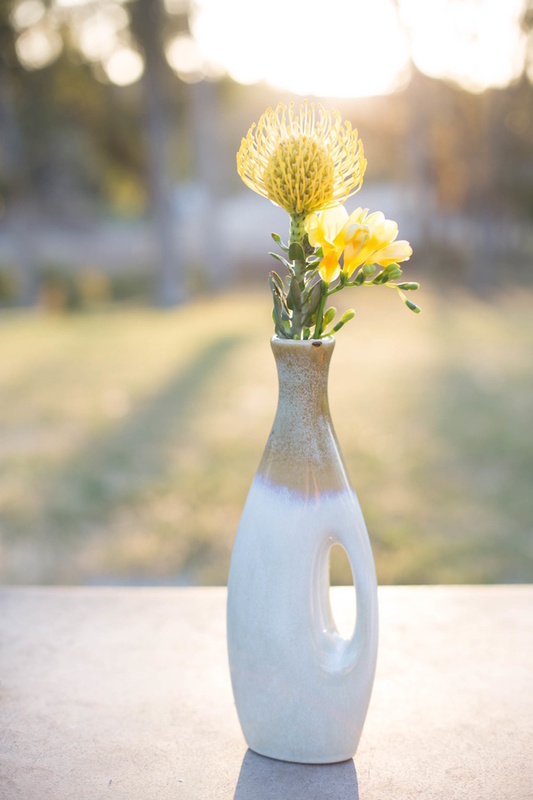 Deliver a bowl, floral vessel or wicker basket to a local florist and/or floral designer to create a one-of-a-kind arrangement.